SHIMLA/CHANDIGARH: Fresh spell of snowfall in several parts of Himachal Pradesh on Monday has not only intensified the cold conditions but also added to the woes of people living in snowbound areas. While people in tribal Pangi-Bharmaur areas of Chamba and Lahaul-Spiti districts are solely dependent on helicopter service for connectivity with other parts of the state, snow-blocked roads in mid hills forced many to carry patients on their shoulders to the nearest hospital. However, inclement weather has grounded the state government’s plans to start flight service to tribal areas. Flight schedule announced for LahaulSpiti on Sunday was cancelled due to that. Some residents of Thanwari village of Seraj assembly constituency in Mandi district had to walk 20km in snow to reach the nearest road to take a fellow villager to a hospital in Banjar on Sunday . In another case, a 90-year-old resident of Kahar panchayat in Chhota Bhangal area of Mandi district died on the way to Barot hospital as the roads were covered with snow and driving was impossible. In Kinnaur, snow has blocked most link roads and power supply remains erratic. 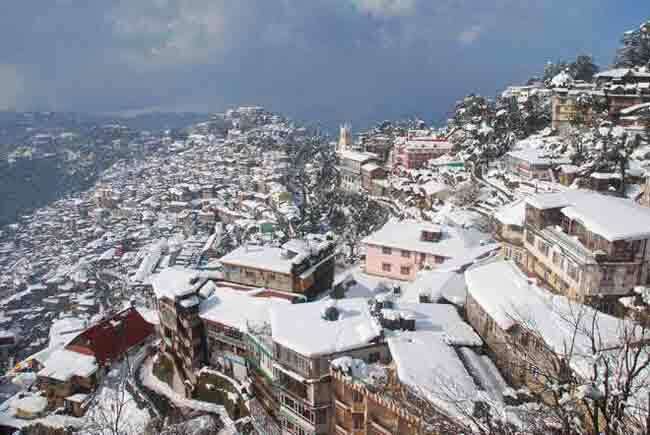 According to Shimla Meteorological Centre officials, more rain and snow are expected in the state till January 18. While, people in the northern plains on Monday received slight respite from biting cold wave conditions as the minimum temperature rose by afew notches even as some cities in Punjab and Haryana received light showers. Chandigarh, the common capital of the two states, recorded a minimum temperature of 11.4 degrees Celsius, which was five notches above normal. The city also received light rain. In Haryana, Ambala, which received light showers, recorded a low of 11.7 degrees Celsius, up five notches against normal. Hisar’s minimum settled at 9.4 degrees Celsius, up three degrees while Karnal, which received light rain, registered a low of 9.8 degrees Celsius, up three degrees against normal.